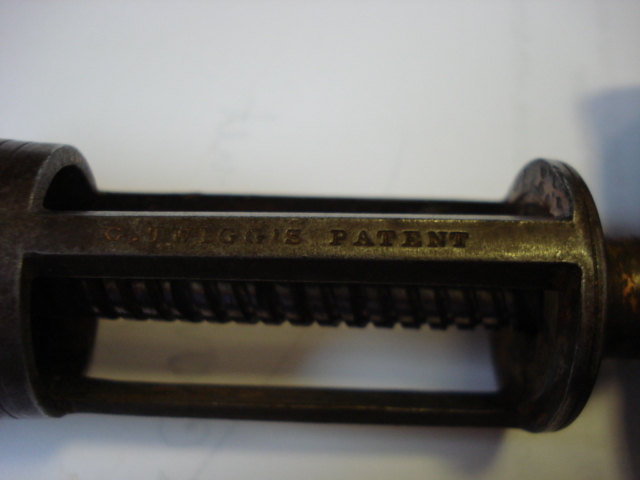 As a few of you know, one of the first antique corkscrews I ever bought was a Haff patent direct pull with the “PATENT APPD FOR” mark. And, while Haff’s 1885 patent does have a tendency to turn up with certain regularity, I am rather fond of them–there are a lot of variations after all. 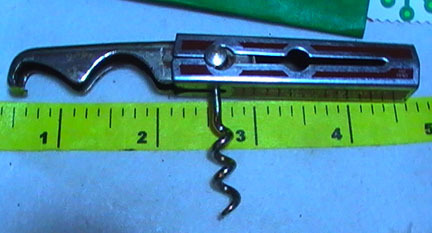 Speaking of, the other day, a nice looking haff with henshall-type button was listed on eBay, and while I have a couple of examples of this corkscrew already, this one was a bit more interesting as instead of the Patent mark, or the patent applied for mark, this one carried a beer ad. Yesterday, the corkscrew arrived, and it is quite nice. And, this will be staying in the collection. I have a growing collection of Haff variants, and this will make a nice addition. A couple of years ago, Mark and I were in DC and after hitting the DC Flea, headed out to do a little more antiquing. After a few stores, we meandered into one, and I found a small basket of tools. 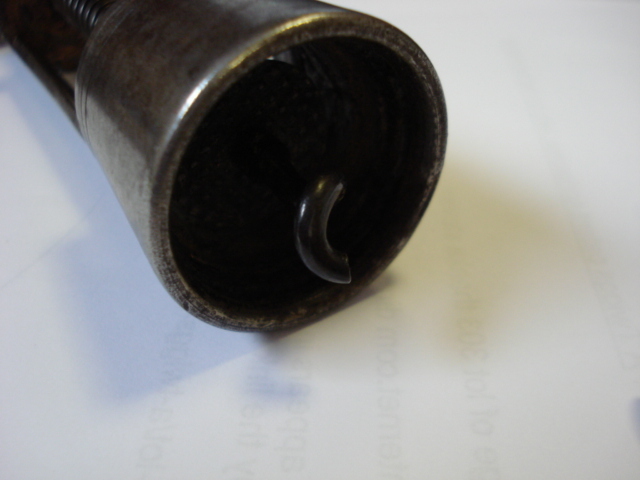 One of which was an opener, with a scoop at the end. I looked closely at the item, and it was an advertisement for Senate Beer. I paid my 10 bucks (or maybe 8, I can’t remember) and brought it that year to the JFO. John Stanley wanted it badly, and I was glad to sell it to him. 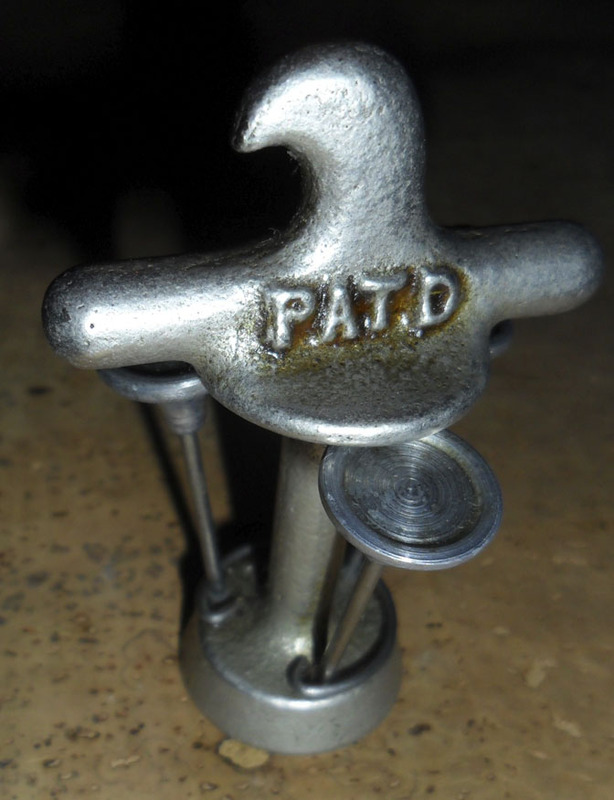 Last year, leading up to the JFO, I picked up another Senate beer opener, this of the sliding-variety. Having won it on eBay, John had emailed promptly after the listing ended, and again, I knew that it would end up in his collection. And, at the meeting, a trade was made. Well, today, while waiting for an estimate to fix a dent in our car that recently appeared : ( I happened to hop on my iphone and check eBay, and what should appear but a listing for a Heurich (M-73–in JFO-speak) sliding opener with corkscrew, with a Buy it Now of under 30 bucks! 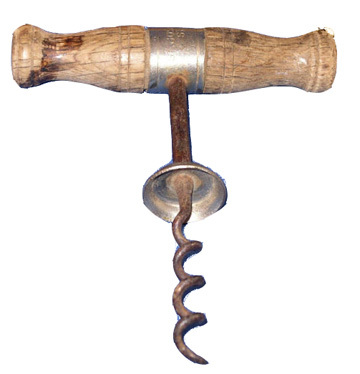 As it happens Christian Heurich was the producer of Senate beer–interestingly, as of the time of this posting John Stanley hasn’t emailed, but I am sure it will happen shortly–and this opener/corkscrew looks to be in fabulous shape. Now, this will probably make it to the JFO in April, only to have John make a trade for it. I wonder what he has uncovered this year. The U-Neek arrived the other day, and it is available for an appropriate trade. Tomorrow the lovely and I head to the mainland for a couple of days; visiting with friends, dinner at Primo, shopping for lighting and a new woodstove for 65 Atlantic (that will be the new address when we move) and perhaps a little antiquing. We had talked about the handles, and the helix, and so forth. However, I hadn’t seen one before. So now and again, Gary and I exchange emails, and sometime last year, the subject of the Clark came up again. Now, I knew what I was looking for, I just hadn’t been able to find one. Or, more accurately, I hadn’t been able to find one that is marked. And, I will have to say, I have purchased a few at auction that I had hoped would be marked, but to no avail. I have picked them up off of tables at Brimfield, and further afield, nothing. They fit the description, but again… no markings! 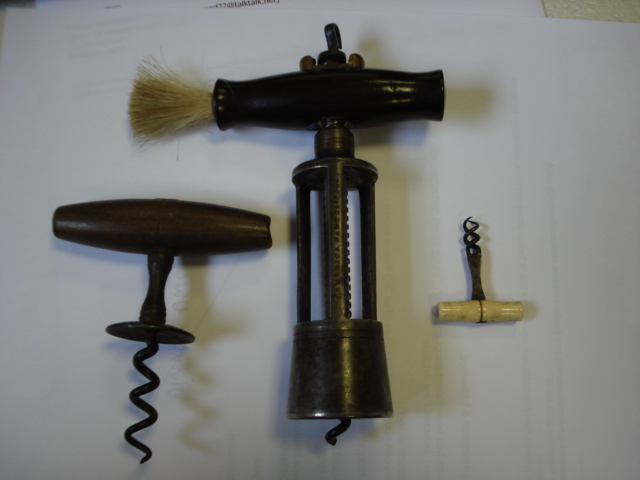 Don Bull sent out an email yesterday, announcing that there were 312 corkscrews available on his website, and what makes this collection more important, as they are part of the late Homer Babbidge’s collection. I happened to be online when the email came through, and immediately went on the hunt. And, while there are great mechanical, patented, figural, and hard to find pieces that were available, it was a signed Clark that caught my eye. I emailed immediately, and we had a deal. However, there was more than one Clark in the Babbidge collection. And, well, I figured I might as well take that one too! Does anyone have more information on Clark? And, as importantly, do you have a Clark with which you want to part? However there was no picture available. What should I bid? So, I emailed the auctioneer, and after a day or so received pictures. It seems that the Twigg had some damage to it. Now, the story could end there, with my deciding not to bid, as I would probably be overpaying for a broken corkscrew, albeit a nice corkscrew. However, there were two other corkscrews mentioned in the lot description. 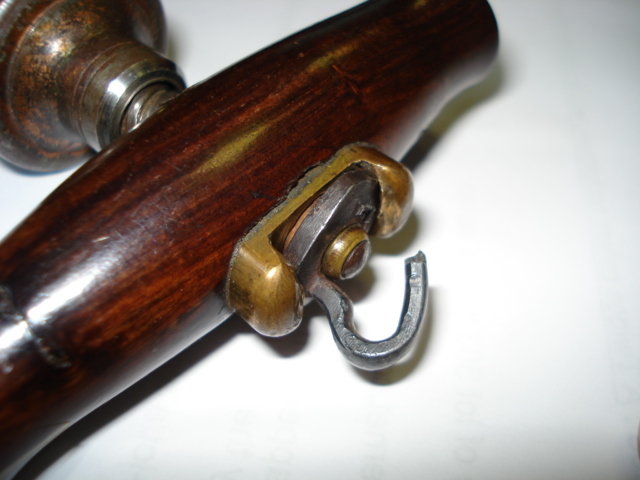 Given that there was no indication of patents or markings, I assumed that they would be run of the mill everyday-common corkscrews. 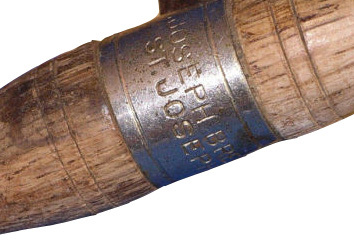 Now, not asking for the condition report, would have me bidding on a broken Twigg. But… I did bid. 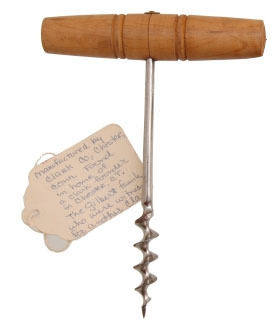 And, I bid a nice amount, as one of the unmentioned corkscrew in the listing was quite noteworthy. The other was pretty darn good too! Yes, whoever outbid me, and won this lot, got a Twigg in need of some repair, a Wilson patent double helix, and…. 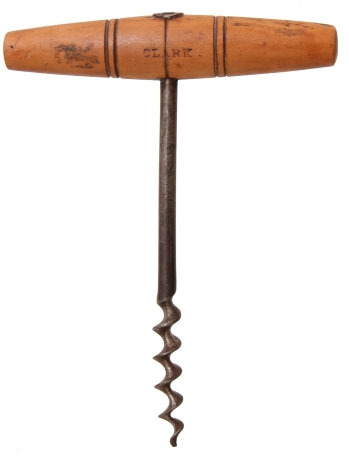 A few days ago, I had mentioned that I was offered another Gundlach corkscrew. 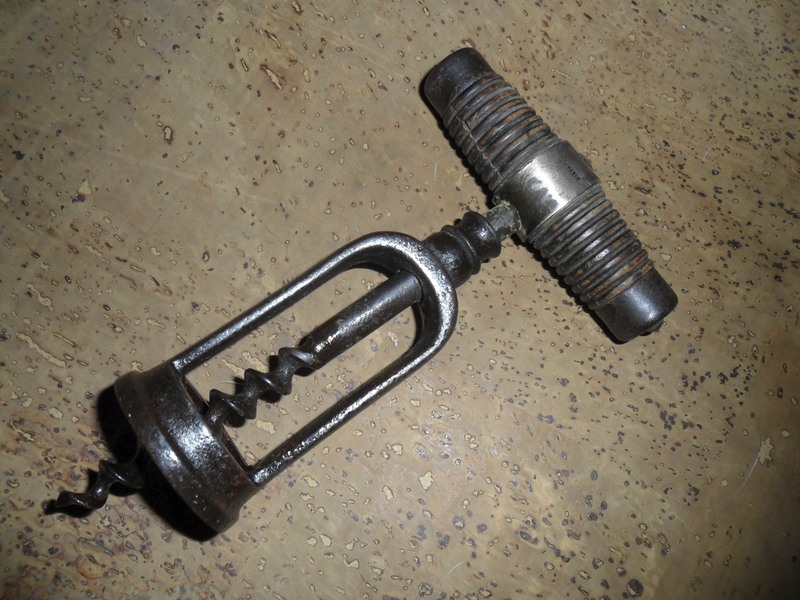 And, while I don’t really need another one, after receiving pictures of the corkscrew, it seems that I genuinely DO NEED one. This version of the Frary with J. GUNDLACH & CO, SAN FRANCISCO advertising on it, it is in remarkable condition. And, more over, it seems to have a lovely nickel finish. I have seen various Frarys with this same finish, and this will make an excellent addition to the Frary collection, and will most likely make by best 6 for 2011. While the worm, seems to be somewhat askew, the helix itself is sharp! When it arrives, I will add better pictures here, and also on the Frary page. It never ceases to amaze me how you can pick up a corkscrew that is relatively uncommon, and within a day or so pick up another of similar manufacture. The other day, the LB PARIS frame corkscrew arrived, and I was quite pleased to add it to the collection. And, today, an auction lot that I recently won arrived at the post office, and after unwrapping each corkscrew, at the bottom of the box was another LB PARIS DEPOSE marked corkscrew. This one is a direct pull, with nice endcaps and an interesting shaped blade; another Leboullanger corkscrew for the collection! The Leboullanger corkscrew with frame arrived, and it is quite nice. Marked LB PARIS, and faintly with DEPOSE under that. And, the construction continues. Today the lovely and I hopped on the boat, and headed to the mainland, to pick out a new front door, backdoor, windows, etc. The house will soon be a house! I received a message through the blog, via my email, today that someone has a Gundlach in their possession, and they are looking to part with it. No picture yet, but it would be a welcomed addition to the collection. Feel free to send photos Mr. Gundlach Possessor to Josef@vintagecorkscrews.com ; also, include your phone number so we can work a deal! 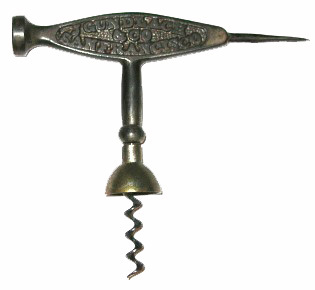 It would make an excellent addition to the Frary Corkscrew Collection! And, while I am at it…If anyone else has a Gundlach that they want to trade (or sell) let me know!